Printing One side/two side - One / Two / Three colors. Keeping in mind the diverse requirements of our clients we are engaged in offering a wide array of Jumbo Woven Bags. These are made using high grade materials and sophisticated technology by our highly skilled professionals. 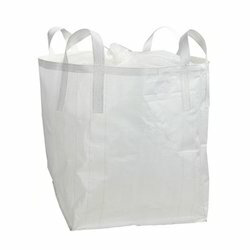 Offered Jumbo Woven Bags have good strength and are available in various standard sizes as per requirement of our clients. 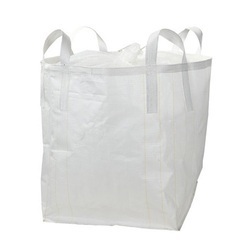 Additionally, these Jumbo Woven Bags can be availed at industry leading prices. 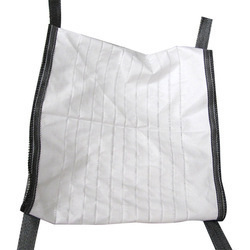 Keeping in mind the diverse requirements of our clients we are engaged in offering of HDPE Woven Bags. We are regarded as the noteworthy manufacturer of an extensive gamut of Food Grade FIBC Bag (Food Grade Bag). Our offered bag is designed by our highly experienced craftsmen in accordance with the latest market standards. Highly acclaimed in the market, the offered jute bag is a perfect commercial gift item and is available in various designs. Apart from this, our esteemed clients can avail this bag from us at market-leading prices.